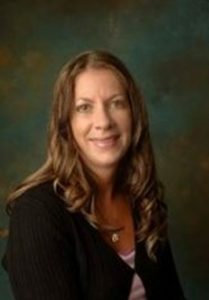 Sheri Van Dijk, MSW, RSW, is the author of seven DBT books, including The Dialectical Behaviour Therapy Skills Workbook for Bipolar Disorder, Calming the Emotional Storm, and Don’t Let Your Emotions Run Your Life for Teens, the focus of which is to teach clients how to use mindfulness practice and DBT skills to help them live emotionally healthier lives. She has also written DBT Made Simple, the aim of which was to make DBT more accessible to therapists working with diagnoses other than BPD; and she has been presenting extensively in Canada and abroad with this goal as well. Sheri is the winner of the R.O. Jones award for her research on using DBT skills with bipolar disorder, presented at the Canadian Psychiatric Association Conference in September, 2010. Sheri is an experienced presenter who has been training professionals extensively in Canada and the USA over the last nine years. Her training is fast-paced, full of examples from her clinical practice, and demonstrates the use of self she describes as essential to working with clients in DBT. She draws from her clinical experience with the clients she works with in both her private practice and at a community hospital in Ontario, Canada, where she has been providing DBT-informed therapy for clients with mixed diagnosis in individual and group therapy.